We’ve had 2 cans of pumpkin sitting in our pantry since last fall, just waiting for the chance to be used. So this past weekend my wife and I decided to whip up a big batch of pumpkin muffins and WOW, are they good. Actually they were so good that we used up the 2 cans of pumpkin and went to the store to buy more. 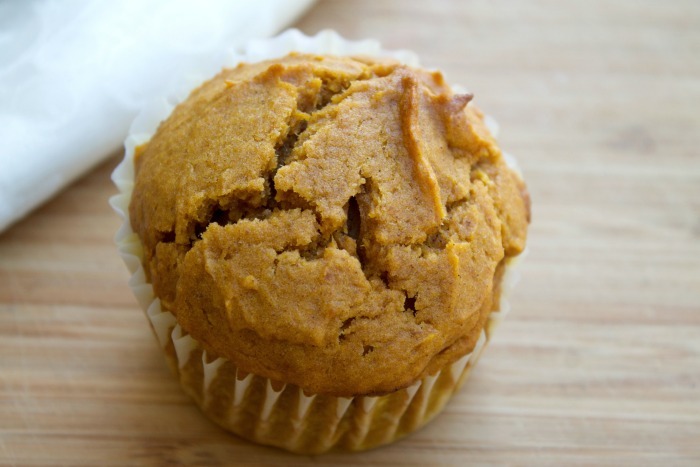 This pumpkin muffins recipe is so easy to make and other than the sugar, it’s actually pretty good for you. 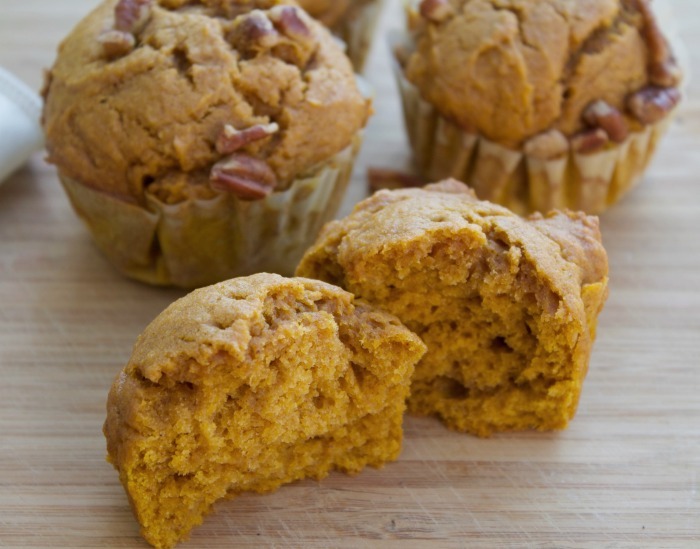 Now you might be tempted to put some sort of frosting on the pumpkin muffins, and that’s just fine. But I will tell you they really don’t need any frosting. 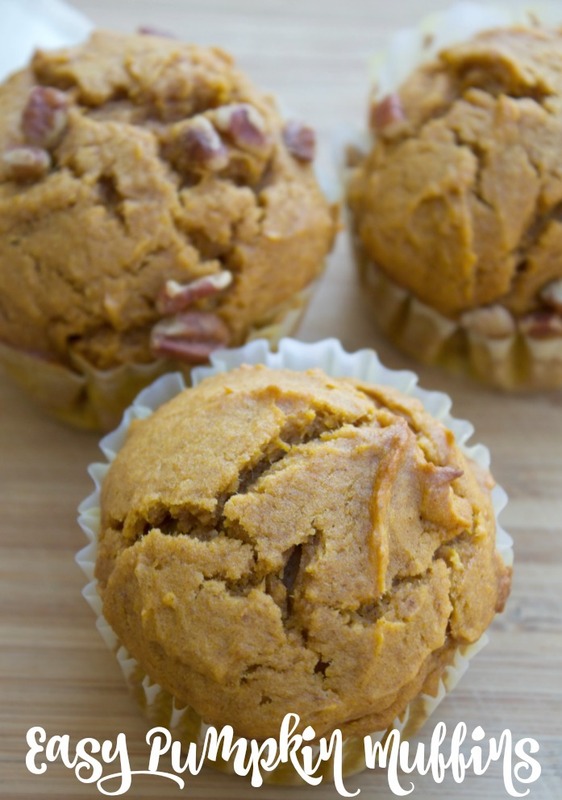 These pumpkin muffins are perfect just the way they are. Preheat the oven to 375 degrees. Place 12 paper liners into each slot of your muffin pan. Just use a standard size pan. In a medium size bowl, mix together the flour, sugars, baking soda, salt and spices. Set aside. In another medium bowl, mix together the eggs, pumpkin, vanilla and coconut oil. Now slowly pour the wet ingredients into the dry ingredients and mix well. Don’t over mix just stir until everything is mixed together in the batter. If you decide to add pecans this would be the time to do it. Now pour the ingredients evenly into each cupcake liner. The cupcakes will be full and you should have enough batter to make 12 large pumpkin muffins. Bake your muffins for 20-23 minutes or until they are done. You’ll know they are done when you can insert a toothpick into the center of the muffin and it comes out clean.